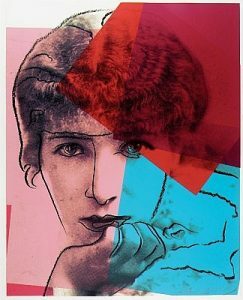 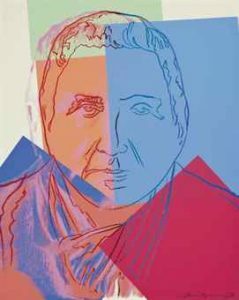 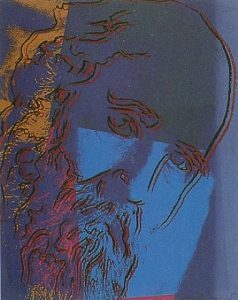 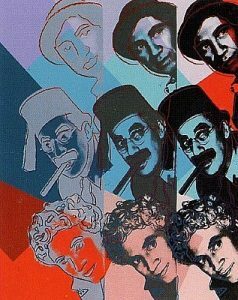 In 1980 Andy Warhol created a series of 10 screenprints as part of his series Warhol Ten Portraits of Jews of the Twentieth Century. 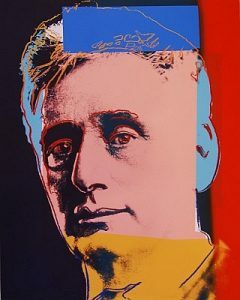 At the time, Warhol was increasingly criticized as a mere “business artist” and suffered a decline in his public reputation. 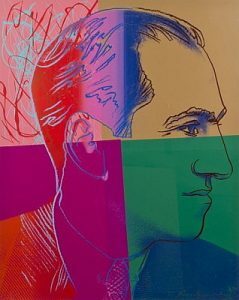 The series received negative feedback given that Warhol was Catholic and that he himself did not invest any interest in the subjects. 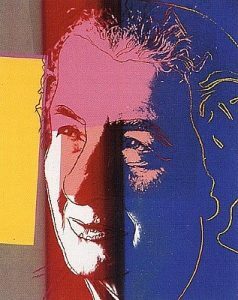 In fact, the idea for the series actually came from Ronald Feldman, Warhol’s dealer. 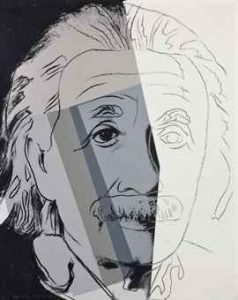 Together, Feldman and Susan Morgenstein, the art gallery director of the Jewish Community Center of Greater Washington, decided on the list of names for this series. 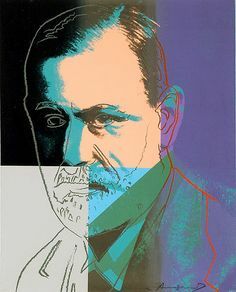 Warhol’s investment in the series may have seemed quite shallow for he merely stated he liked their faces and was interested in their celebrity status.